Chip Somodevilla/Getty ImagesHope Hicks is heading to Fox, where she’ll serve as communications chief. Hicks will oversee public relations for New Fox, which will encompass Fox News, Fox Sports, and Fox Business, from Los Angeles. A former model who became a close aide of President Donald Trump from the earliest days of his campaign, Hicks left the White House in late February. Her hiring comes after Disney purchased most of 21st Century Fox’s assets over the summer. In her new role, according to reports, Hicks will oversee public relations for New Fox, which will encompass Fox News, Fox Sports, and Fox Business – the brands not included in the sale to Disney – from Los Angeles. President Donald Trump is known to be a fan of Fox News and has a close relationship with Rupert Murdoch, the founder of 21st Century Fox. Hicks, 29, will reportedly work closely with Murdoch’s son Lachlan, who is set to become the chairman and chief executive of the newly shaped Fox company. 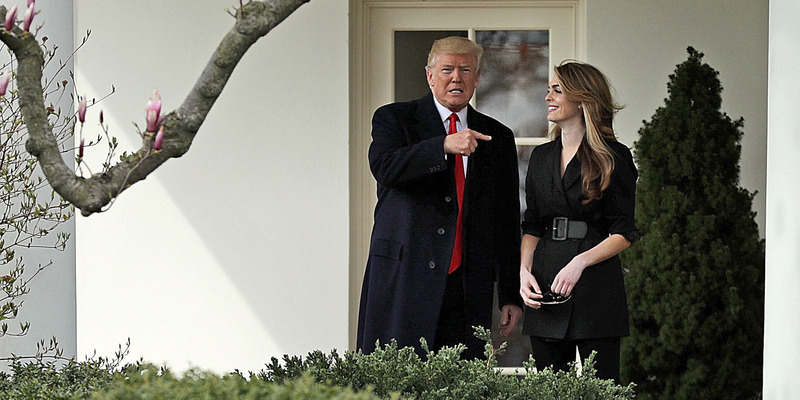 Hicks, a former model who became a close aide of Trump from the earliest days of his campaign, left the White House earlier this year amid multiple controversies – including some that revolved around her personal life. They included a romantic relationship with Rob Porter, the White House staff secretary who resigned under mounting pressure over allegations of abuse from two of his ex-wives. Before her departure, Hicks delivered eight hours of testimony to the House Intelligence Committee regarding Russian interference into the 2016 presidential election. During her testimony, Hicks reportedly admitted to telling “white lies” for the president on occasion but said she’d never lied about anything consequential regarding the investigation into Russian interference.